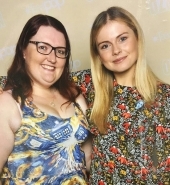 Saturday, June 11 and Sunday, June 12, Rose McIver will be attending the ‘Oz Comic-Con Melbourne 2016′ in Melbourne (Australia). 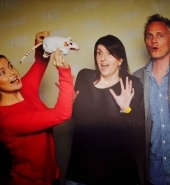 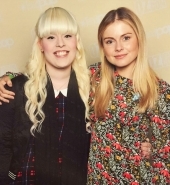 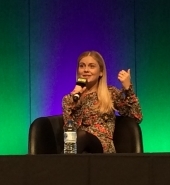 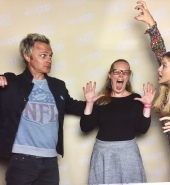 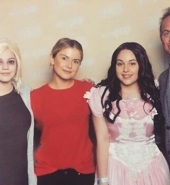 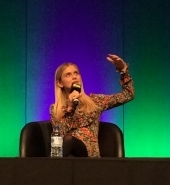 David Anders crashed Rose McIver‘s panel and sang the opening of ‘iZombie‘ (see video below). 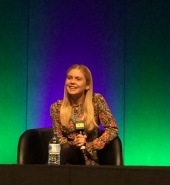 Rose McIver said again that she would like a crossover between ‘iZombie‘ and ‘The Flash‘ where she and Grant Gustin will run the whole episode. 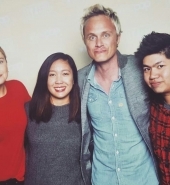 Thank you to all who have shared these photos on social networks and to : Kayla, Matt, Bradley, Melisa, Laura, pettip3t, Nick, Laura, Kim, Ashlee, Samantha, robynxcakes, Matt, Kayla, for allowing us to share their photos.